Undoubtedly, Christmas is the brightest, the most favorite, and the most significant holiday of the year. On this day, many people enjoy the festive atmosphere while walking through the beautifully decorated streets of the city; others attend parties and sing Christmas songs. As for children, they are eagerly awaiting the arrival of Santa Claus. Yes, Christmas is a beautiful holiday, but it can be stressful. Organizing a party or buying the necessary gifts for all loved ones can be a daunting task. In order not to lose the festive mood during this hectic period, you should laugh and smile a lot. Reading hilarious quotes is a great way to enjoy the moment and take your mind off daily hassles. With these funny Christmas quotes, you will keep laughing until the New Year. If you are stressed out worrying about all the gifts you should buy, all the places you should visit, and all the invitations you should send, short funny Christmas quotes can give you joy. Read them alone, share with friends, or even include these quotes in a Christmas card. Fun and happiness are the presents everyone should get for Christmas. When you hit the mall before Christmas, you feel confused. You’ve got a shopping list the size of a Christmas tree, and you don’t know where to start. In this case, you should relax and laugh at ridiculous problems. These Christmas shopping quotes will lift your spirit. The characters in “The Office” are well-developed, hilarious, and each has its own charm. If you’re a fan of “The Office” series, you’ll love these quotes. “Michael: You’re the expert, is this enough to get 20 people plastered? On Christmas, people celebrate friendship, fellowship, and family ties. It’s important to be in a good mood on this day and share positive vibes. 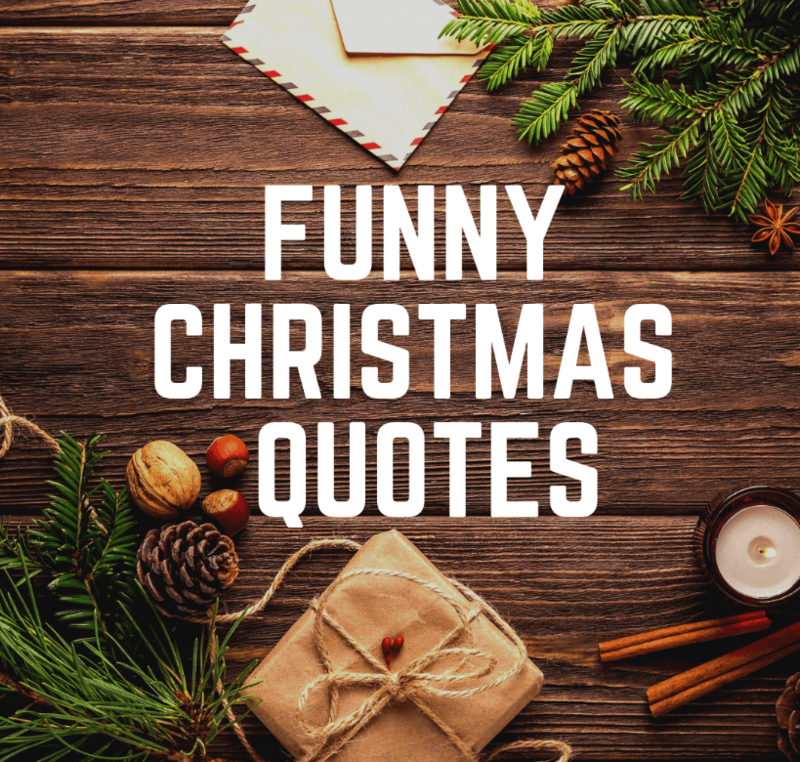 Use these funny Christmas quotes to add a little humor to your life. 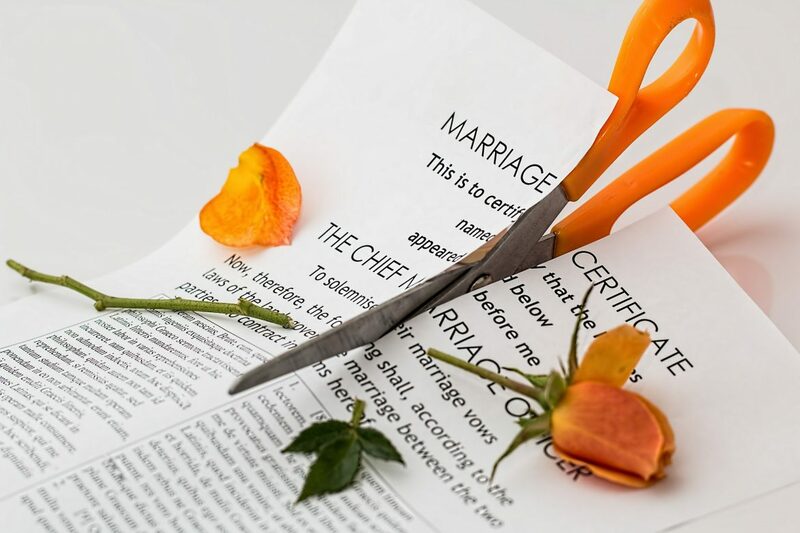 Going through a divorce is never easy, and when it’s a messy situation, it can be even more challenging to manage. Luckily, there are a few tips that will help to keep you feeling your best although you may be struggling from time to time. What’s most important is that you don’t let your health and wellbeing slip through the cracks in the process. Stay hopeful that with the right approach and attitude you’ll be on your way to creating a brighter future for yourself. Be mindful to manage your emotions and not let this situation distract you too much from your other responsibilities. One tip for getting through a messy divorce is to reach out and hire a lawyer who can help you. For example, contact a Bristol lawyer who will assist you with your family dilemma and make sure your divorce is taken care of in a professional manner and that the process continues to move along at an acceptable pace. It’ll be nice to have someone who can guide you in making wise decisions and answer any questions you have. Another tip for getting through a messy divorce is to make sure you attend to your kids and their feelings. This can be a very difficult time for them as well, and they may be feeling confused and upset. Make sure you give them extra attention and that they feel loved and not caught in the middle of your messy divorce. What’s most critical during this time is that you take care of yourself so that you can continue to function to the best of your ability each day. A messy divorce will take a toll on your overall wellness if you’re not careful about practising self-care consistently. Reduce your stress and cope better by hitting the gym, going for walks and journaling all you’re feeling at the time. Spend quiet time meditating and reflecting on all that’s going on in your life and how you want your future to play out. Remember that although you may feel all alone during a messy divorce, it doesn’t mean that you have to do it all yourself. Reach out and ask for support from your loved ones such as friends and family members. Connect with those who’ve been in your shoes before and have gone through a similar situation in the past. Allow others in and let them help you as you try to get back on your feet. There are also plenty of online and offline support groups for those going through a messy divorce and it’s possible that this will be a comforting resource for you to take advantage of. Divorce is never easy or desirable, but unfortunately, it does happen in families all around the world. Use these tips to help you through your messy divorce so you can work through it and come out a better person for having had your experience. Try to remain strong and optimistic that your life will improve as time goes on. Travelling the world is one of the best ways to explore different cultures and learn about different traditions around the world. This knowledge not only makes us more accepting of other races but it makes us realize that our own culture is beautiful too. Join others in different traditional activities and sometimes having people join you is a wonderful thing. The sense of community this gives us is a wonderful thing. Personally, I like to travel to places that are rich in history and culture. It’s fun to explore these places, learning of all the eccentricities and uniqueness of their native culture. Slowly but surely, I’ve noticed that I’ve started to feel proud of my own heritage. There were a few strange things that I avoided but now I’m more accepting. It’s a wonderful feeling to make a foreign friend and swap traditional stories. For me, Thailand is on my list next. You can head there too and book DWT discounted flights to save some money alongside! As we all know, racism is still a tragic problem today. Most of the issues arise from common misconceptions about a certain race. Due to ignorant people, negative information spreads around causing all sorts of problems. From hate-crimes to hate speech, all of these can be solved by simply spreading awareness about different cultures. The more people understand and accept the differences in different races, the kinder they will be. Who knows, they may just bond over certain similarities. This is the other side of racism because usually the people who are discriminated a lot, start feeling ashamed of their culture. It should never get this bad because our culture is not just our identity but it’s what makes us who we are. Everyone learns from their parents and grandparents, so it’s sad that ignorance cause someone to be ashamed of the ways of their elders. Positive awareness is good because everyone can improve certain things in their culture, but overall, it’s essential to be proud of who you are. The more you travel, the more you get to explore the world and meet new people. When you see a country and its traditions first-hand, you understand the reasoning behind certain trends. This awareness makes you empathize with other races making you a diver person. I remember when I visited Morocco, I was moved by their hospitality. In fact, it made me wish more people would follow that tradition. Once you travel the world enough, you’ll realize that at the end of the day, we aren’t all that different from each other. Therefore, if there are some rather unique traditions in your culture, you simply accept them as what they are. In fact, instead of being embarrassing, they become interesting. Besides, it’s just the general consensus that makes us think certain things are better than the other when we should accept that we’re all unique. Travelling to different countries allows us to meet up with new people. The more people we get to know, the more we’ll learn about different ethnicities and races. Now just change your thinking a bit because if you explore their culture with such interest then chances are that they’ll likely wish to do the same. This realization will make you proud of your traditions. I see so many people trying to copy other cultures when there really is no need. Share knowledge about different traditions. Eventually, you’ll find out that there are many similarities. Not only does this allow you to become better friends but gives you confidence about who you are. One of the best ways to experience the fun and beautiful side of a culture is to join in a cultural festival. From delicious food to unique performances, you’ll get to experience wonderful things. When I visited Japan in summer, I managed to join in one of their summer festivals. The slow traditional dance with a disciplined drum beat made me fall in love with Japan even more. And then there was all the festive food. One of the best festivals that celebrate different culture is the Global Village, held in Dubai. Just trying out different dishes is good enough for me. There are sections called pavilions dedicated to different countries. Here you can buy authentic souvenirs, try out delicious traditional dishes and if you time your visit right, you can see a cool cultural performance as well. My point is that you’ll probably find your culture being represented here or even in your own country. Trust me, there’s nothing shameful about a traditional festival. Enjoy yourself and you’ll notice all the visitors are having a great time too. There’s a big stigma when it comes to language. As well all know, the most popular language around the world is English. And if someone can’t speak English then they’re made to feel bad. This is a terrible rule of the world but I’m glad it’s slowly going away. Every language is beautiful. Having an accent is all right too. In fact, having an accent makes it more interesting because it shows that you’ve learned a foreign language but haven’t given up on your mother tongue. When you travel around, you’ll get to hear countless accents and dialects. Just conversing with different people will make you confident about your own pronunciations. Besides, as long as the other person understands you, it doesn’t matter what language you use to converse. This one is the most important thing we learn when we travel. Since we realize and develop an admiration of different cultures, we should also make an effort to be respectful. Because once you know about something, yet still stay offensive, it becomes pure hateful racism. Respect others so that in turn your own culture may be respected. The boiler is one of the most necessary appliances in any home, and yet most of us only pay attention to it when something goes wrong. You wake up to find the house a lot colder and there is no hot water available on a chilling February morning. While it may not always be the reason, more often than not, boiler breakdowns are a result of ignorance and negligence on the owner’s part as they end up making mistakes that ultimately lead to the failure. To help Brits avoid and minimise boiler failures in the future, here are the top four, most common mistakes that people often make with their boilers. A failing or broken-down boiler could send a lot of people in a state of panic and they end up spending a ton of money on a new boiler when in most cases, all they needed was a repair! A boiler is supposed to last a decade or more, so if your appliance is less than ten years old, do not buy a boiler right away and look to repair it instead. In fact, the product might still even be under warranty as a lot of boilers do come with 8 – 10 years of warranty. In addition to the cost of the boiler itself, you will also have to pay to have the old tank removed and the new one installed, which will further bump the bill up by a few hundred pounds or more, depending on how much work is required to install the new appliance. Therefore, the bottom line is, do not spend thousands of pounds on a new boiler, unless you are absolutely sure that it can’t be repaired. In the very beginning, it was mentioned how the owner’s negligence towards boiler maintenance is one of the prime reasons as to why boilers break down in the first place, and not getting boiler cover is definitely part of that negligence. It is the main reason why Brits often make the mistake of buying a new boiler even when their old boiler is perfectly capable of providing them with valuable service for many more years. When the appliance breaks down and the house gets cold, they do not have anyone available to rely on for getting the boiler fixed as soon as possible. By getting a good boiler cover plan right from day one, this issue can be eliminated altogether because companies like Certi provide 24/7 emergency service, 365 days a year. The above-mentioned company Certi has both premium and affordable home emergency cover plans that not only assist you with your immediate breakdowns, but actually keeps the boiler from failing in the first place by providing free boiler health checks and maintenance on an annual basis from certified engineers. The higher end home emergency cover plan goes much beyond just boiler maintenance and repair by including maintenance and repair facilities for plumbing, drainage and electrical wirings as well, in addition to providing pest control and home security services. A good boiler is perfectly capable of making even the coldest days feel like summer inside the house, but the common mistake which people often make is that they forget how much pressure it puts on the machine, not to mention the significantly higher electricity bills generated as a result of overworking the boiler. Keep in mind that for each degree of heat increased on the thermostat, you will be paying about £60 more on electricity bills every year. The government suggests that your thermostat should not be cranked higher than the 21-degree Celsius mark under normal circumstances, but there are those who push it way up and quite literally pay for it. Aside from the electricity bills, the more you make the boiler work, the shorter it will last before the next breakdown. To be able to tell if it’s time to top up the pressure or bleed the radiator is something that every homeowner should be able to do, but it isn’t uncommon to see people making the mistake of being ignorant about it. It is quite simple to learn really, so go through the following, so that you can call in the service engineer before the boiler actually breaks down. A boiler is an appliance, and an important one at that, so just like every other appliance, it needs to be maintained professionally. By avoiding the common mistakes we have just discussed, you will not just be saving money, but you will also be able to avoid or tackle future boiler emergencies quite smoothly. You’re trying to find the right prom dress. You know what you like, and what you hope to find. All that’s left is to do a little investigating, staying up to date, and discovering what this season looks to bring to the market in trends and fashions. Here are the top prom dress trends for the 2019 season. This year, rose gold is everywhere. From accessories to jewellery pieces, the pink/gold combination is here to stay in 2019. Embrace it, especially if you have an affinity for gold necklaces and jewellery. Rose gold accessories will be everywhere this year. The ‘one shoulder’ look (one strap up, one down the shoulder) can really set you apart and even further define your silhouette and figure. While the one-shoulder look isn’t for everyone, if it is for you, it can really send your outfit into the stratosphere of prom fashion. Perhaps one of the best ways to set your look apart is with the glisten and shine of glitter and sequin. Especially if you can’t decide whether to go high or low, the high low provides you with an escape from making this decision at all. All long prom dress options aside, a solid high low cut can be great, especially if your shoes are a big part of your outfit and deserve a little bit of extra attention on their own. An absolute staple of prom season every single year is the colour red. It’s all about red again this year; deep hues, lycra, ruby in satin, and brighter shades of scarlet. Red is always going to be a great option, and this year is no different, especially considering the fact that your other best colour options this year will probably be yellow and lilac. Floral print dresses are also poised to dominate this season. For those who aren’t looking for the shine of metallic lace or the glimmer of shiny fabric or the glisten of rose gold, we recommend trying something with a floral print, covered in flowers, evoking the annals of springtime. As mentioned above, the lace-up back is once again here to stay. Highly coveted and consistently received with a combination of mystique and grandeur, go with a lace-up back design and you will be well on your way to a night of splendour. 2018 was all about ‘metallic lace’, and it seems as though this trend is going to be carried into 2019 as well. The ball gown once again takes centre stage in 2019! Ball gowns haven’t always stayed ‘in fashion’, but they are poised to experience another comeback year in 2019, for all those looking for the added elegance of a flowing train. 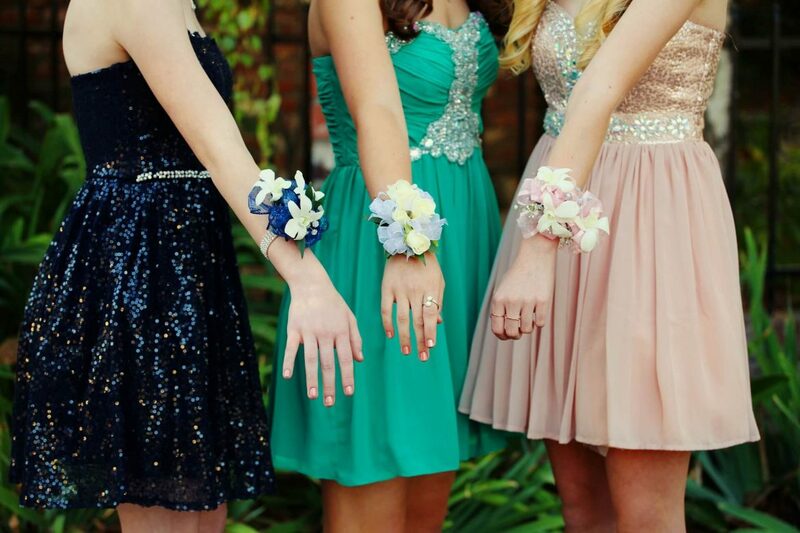 As you sift through trends and prom dress options, find what you love, and most importantly, if none of the above speak to your sensibility, fashion is all about knowing yourself and trusting your instincts. Trends are more like guidelines, but they don’t always work for everyone. Whatever dress you settle on, remember to have fun and wear it however it fits you best. If your house is looking a little sorry for itself then let’s look at some creative and cost-effective ways to polish your home’s design. Declutter and improve your storage options. This is one of the simplest ways to polish your home’s design. Simply tidying up your living space costs nothing other than your time, and it can be a chance to get a little more creative and imaginative with the layout of your household. Start off by getting rid of things you no longer want or need; you could even have a yard sale for your old possessions to raise some money that could go towards future renovation projects. Once you’ve reduced your clutter, your home will feel larger and more spacious. This will massively improve its appearance, but there are more than just visual benefits; it’ll create a more practical and comfortable living environment too. 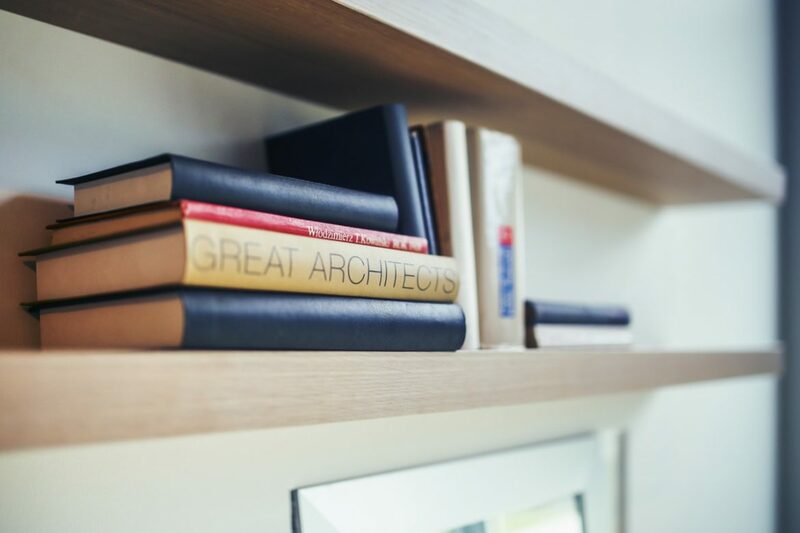 As for the rest of your belongings, you can keep your home tidy by storing things smartly. Put up more shelves on the walls, store things under beds, and so on. It’s all about freeing up floor space so that each room feels bigger. Maintain a pretty and cosy garden. Another creative and cost-effective way to polish your home’s design is to take better care of your garden. After all, it’s as much a part of your home as any part of its interior. You don’t want to look out of your kitchen and bedroom window to see an overgrown patch of land around the back of your house. Plus, the way your house appears from the front has an impact on your front impression. You should plant some fresh flowers and plants to give both your front and back garden some colour and a vibrant aesthetic. Trimming back shrubbery and mowing the lawn can keep things looking neat and tidy too. Of course, if you struggle to maintain your garden regularly then you might want to look at some artificial lawns for your property. This would remove the need for regular lawn-mowing, but you’d still have a natural and appealing garden space. Make sure you paint doors, windowsills, and other external woodwork too. Even fences can be brought back to life with a fresh coat of paint. Obviously, repainting things is a very cheap way to spruce up the aesthetic of your household to make it look brand new, but there’s a practical reason to do this too. Regular painting can protect wooden surfaces from the effects of weathering. 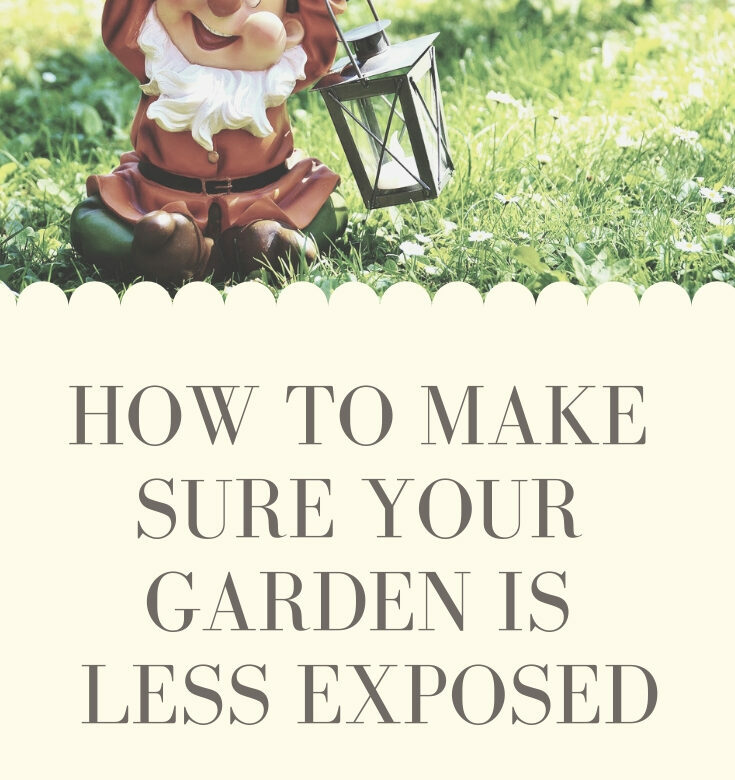 If you want to stave off the worse outcomes then look after your garden and overall external property by regular maintaining it in terms of its appearance and functionality. A fresh coat of paint can stop rotting, and a light bit of gardening can keep everything looking colourful and neat. Take the personalised DIY approach. The best way to save money and make your home look well-designed is to do as much as possible by yourself. 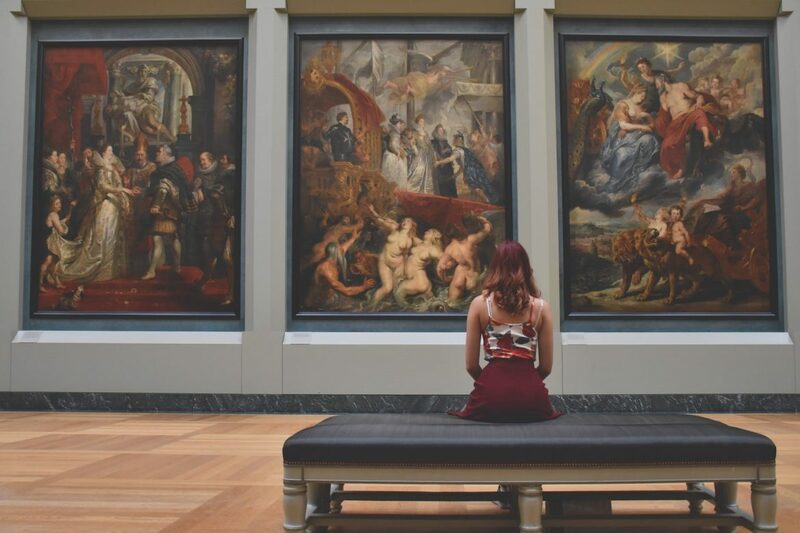 There’s nothing wrong with spending a lot of money on trendy new furnishings for your home, but there’s something special about crafting your own pieces of decor. Maybe you could do something as simple as splashing paint on a canvas with your family members so that you have something unique and homemade to hang on the wall. You could also spray chalkboard paint on the inside of cupboard doors so that the kids can draw some creative pictures in there. Or maybe you could chop up some logs to create quirky coffee tables for the house. You just need to think outside the box to polish your home’s design in a personalised and creative way. You are trying to plan an amazing birthday party for your little one or you want to throw a surprise party for your fiancée, but you don’t know where to start. This happens to all of us. The important thing is to understand your guests and to set up a theme and carry on with the flow. The decor is, in fact, a vital part of any party and leaves a lasting impression on the guests. Let us now look into some ideas that can make your party decor more appealing and innovative. Understand your guests: Guests are the highlight of the party. Are they your friends or co-workers or are they children? Know your invitees and set up the theme accordingly. If it is your kid’s birthday party, use bold colours like bright balloons, streamers, cartoon character cut-outs or piñatas with sweets and treats. If it is the 50th anniversary of your parents, go for a more sophisticated and classic look. Add a personal touch by displaying pictures of old fond memories and fun days. Again, if it is a corporate event, try to keep it more formal and at the same time, your colleagues must be able to relax and enjoy the time. Party Occasion: Key to any successful party is to understand the true nature of the occasion. If it’s a Christmas party or a new year’s eve, go for seasonal colours like bright red or green. Bring on the festivities. 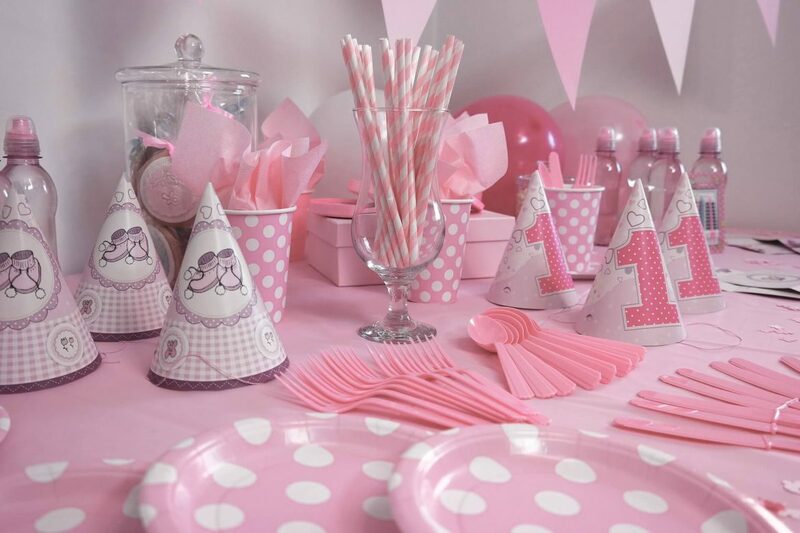 If it’s a girl’s birthday party, add colours like pink and white and plan accordingly. For a simple friendly get-together, try to keep it simple and focus more on food and the ambience. Party Theme: Choose a theme that best suits the occasion. Instead of using general themes explore a little. Use themes that are most popular in the current times. Kids generally like themes based on their favourite cartoon characters. For a simple afternoon tea party, you can arrange a small garden party or if you want a more elegant party try for a vintage look. Light up your party: Nobody likes a dull and shabby party. Brighten up the rooms. Add some lights. For your kid’s party, you can use LED balloons. They are quite a hype nowadays. You can also use beautiful candle luminaries or bird luminaries, which can add to the authenticity of the room. Try to accentuate the wall fixtures of the room by adding indirect light. Brighten up the corners with floor lamps or torchieres. You can give a personal touch by using homemade scented candles. They give a mystic look and create a peaceful ambience, especially if you are having a quiet party with your friends. Put enough lights in the dining room area and illuminate the dark corners of your house. DIY Decorating Ideas: Bring out the creative side of your mind. There is no need to buy the overpriced decorative items from the shop. You can use your own imagination and give a personal feel to your party. For that crazy Halloween party you are planning for your kid, make some monster headbands or some paper ball bats and hung them around the corners. Paint your old stuff. Add some colours to the old lanterns and flower vases and give them a new look. Empty glass jars come really handy for DIY purposes. You can paint them, add ribbons, fill it up with candy or even use them for return gifts. You can also make some DIY wooden or paper lanterns and give a rustic look to your party. Add some green: Flowers and plants really boost up the energy and create a more tranquil and peaceful atmosphere. You can use a variety of artificial flowers available in the market. Silk floral arrangements can be used as centrepieces. They are available in varieties like silk tulips and roses. Artificial ferns bring the lush green feeling of the forests indoors. They can be anything between hanging planters to decorative bases. An artificial bonsai tree is a replica of the real one and doesn’t need any maintenance and adds meaning to your rooms. Return Gifts: Return gifts are a very crucial part of a party especially if you are hosting a birthday party for kids. Be a good host. Plan your return gifts beforehand. Kids gorge on return gifts. They just wait for the party to end so that you can hand them over their presents. The gifts should be apt for their age. Instead of selecting the conventional presents try something which is unique and funky at the same time. 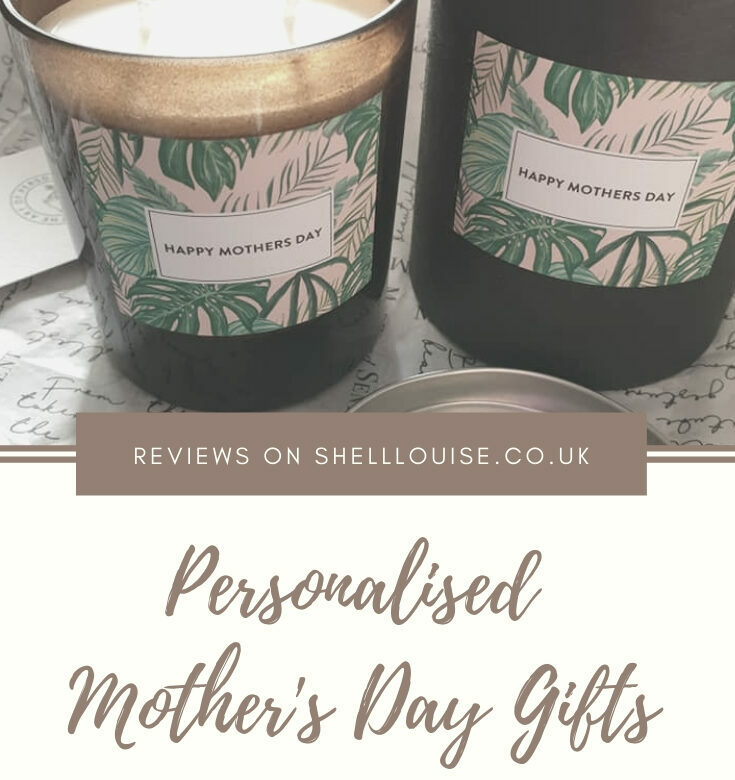 Return presents can be handmade as well like homemade chocolates or jewellery boxes for girls. Decor Banners: The decor banners highlight the events. You can make hand cut-out banners for birthday parties or make some super fun posters. You can reuse the old ribbons and make a tassel garland and hung them in front of the doors. Easy custom-made “Hello” banners at the entrance can be used to welcome the guests. If it is simply a house party, ask your kids to make some simple DIY banners. This will involve them and also bring creativity and newness to the occasion. Arranging the perfect party can be nerve-wracking and difficult at times. It can be the budget or it can take up too much of your time. In our busy schedule, it is very important that we choose a decor which can be easily arranged as well as save our time. You should have a clear idea about your theme and try to make it as simple as possible. Remember, that your guests should feel comfortable and homely when they visit your place. It is prudent to invest on decor which can be reused later on and does not cost you a fortune. The true essence of the party lies in your hospitality and warmth.